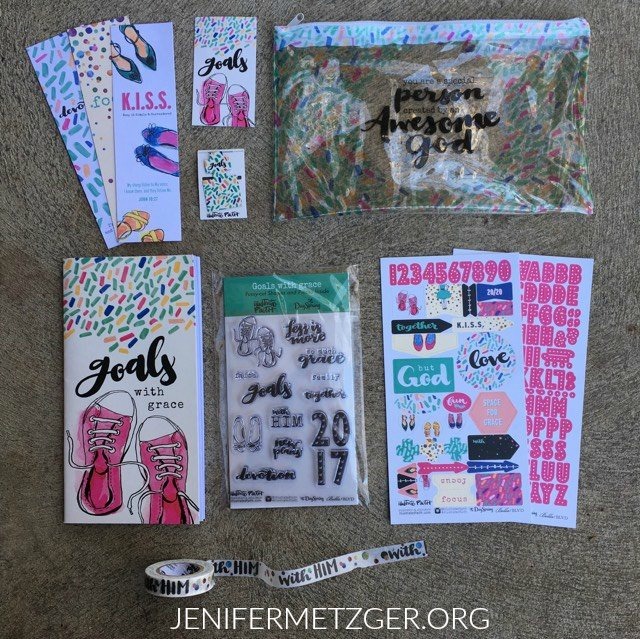 The brand new Illustrated Faith Bible journaling kit is out and it is fabulous! 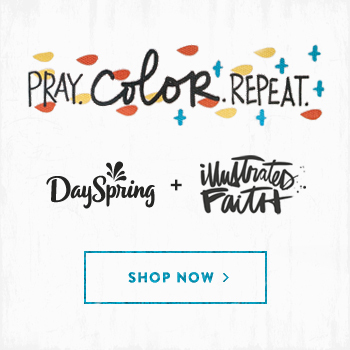 With the new year, Dayspring has updated the look and contents of the kit and I think you are going to love it. I absolutely love this washi tape! Not only will this be used in my Bible and prayer journal but I have big plans to use this in my daily planner. 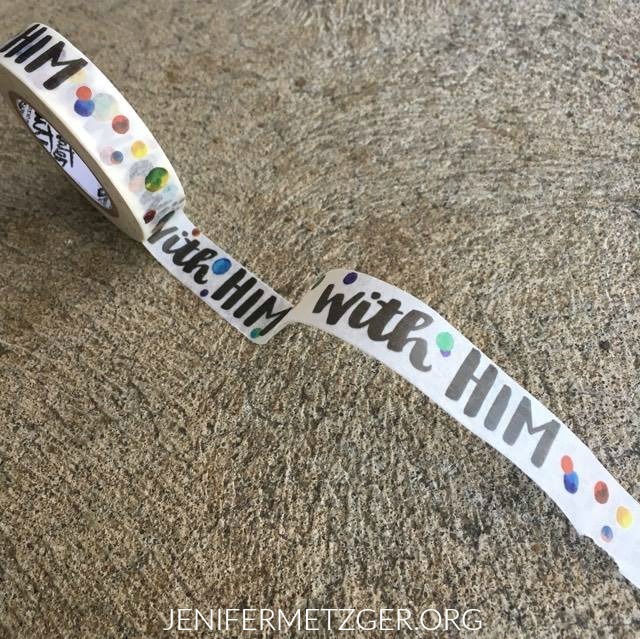 With the words with HIM, it will be an incredible reminder when I look at my planner on those hard days or big appointments and I am reminded that with Him, I can handle it and all things are possible. 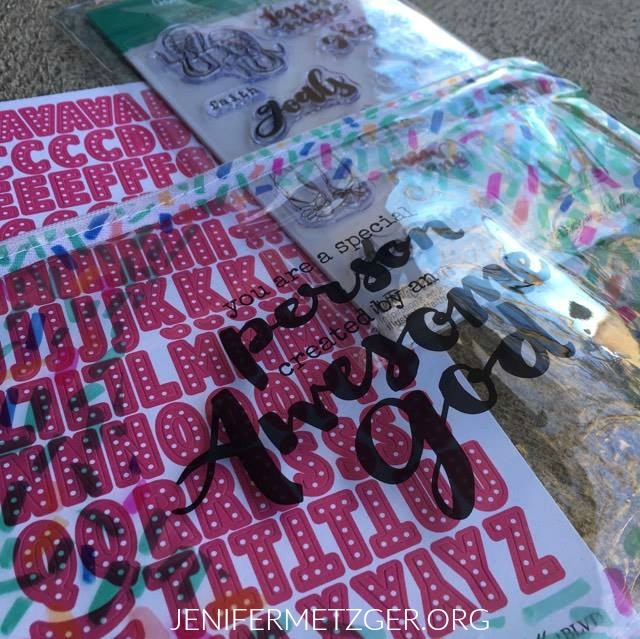 The brand new pouch for the kit is a great place to keep your Bible journaling supplies. It could be a great bag for pens or makeup as well! The 14 day devotional will encourage and inspire you as you begin the new year with your new goals, resolutions or One Word. I love everything about this new kit! Those pink sneakers are darling! One thing you may have noticed is the new kit does not come with an ink pad. If you've been getting the kits previously, you probably have a good collection of ink pads in some really pretty colors (though, we really want a purple ink pad Dayspring!). If not, you can pick up an Illustrated Faith ink pad HERE. As you begin the New Year and set some new goals for yourself and your family, pick up the new Goals with Grace kit today! Click HERE or click the image below.